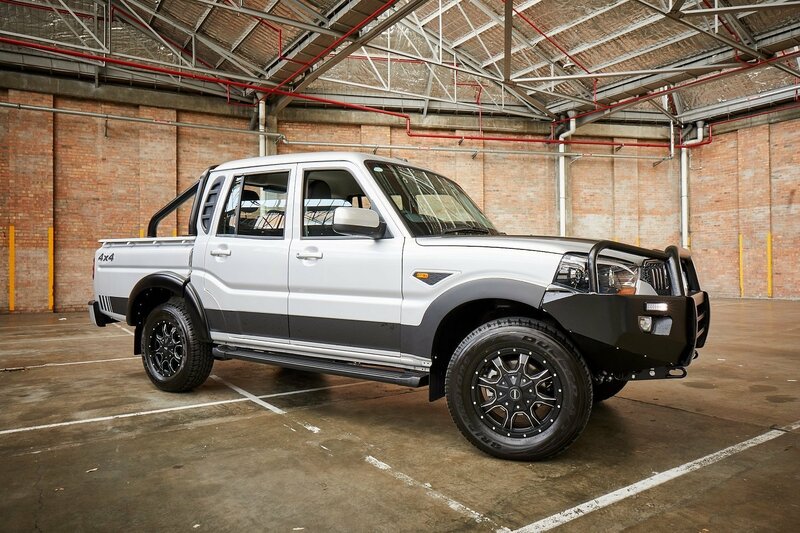 INDIAN ute and SUV manufacturer Mahindra has launched a tough, Australian designed version of its mHawk Pikup, with the release of their highly anticipated limited edition Black variant, built for local conditions. Aussie buyers can expect the same grit and power Mahindra is known for, with the mHawk featuring a 2.2-litre turbo diesel engine producing 103kW of power and 330Nm of torque, and a 6-speed manual transmission. It’s based on the range topping Pikup S10, which means switchable four-wheel drive and an Eaton locking diff, along with SatNav, a 6.0-inch infotainment system, single-zone climate control, auto lights and wipers, front armrests, and a step in the rear bumper. The limited edition Pikup sports a classy exterior with 17-inch black rims, black alloy sports bar and black side steps. If that’s not enough to excite you, throw in a custom black decal set, black flares and a factory black bull-bar for good measure. Mahindra backs it with 5-years limited warranty and road side assist, and pricing starts from $38,990 plus on-roads (about $6,000 or so more than the standard S10). In addition to the release of the Black mHawk Pikup, Mahindra is also cutting prices on its 4×2 single cab S6 turbo-diesel ute, now down to just $23,990. The new price includes a standard aluminum tray, Bluetooth, cruise control, a free ladder rack and tow bar. Tradies can also opt for a 4×4 single cab S6 for $26,990, which also comes with a standard alumium tray. All Mahindra Pikup models feature a braked towing capacity of up to 2.5-tonnes, with a 1-tonne payload.